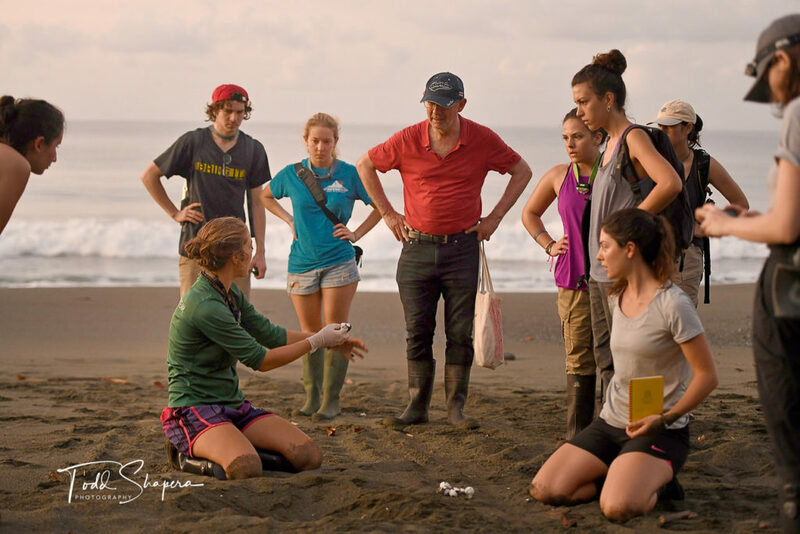 Where Photography and Conservation Meet with Todd Shapera and Osa Conservation | Camera Bits, Inc.
Todd Shapera is a global photojournalist, wedding photographer, and storyteller based in New York. 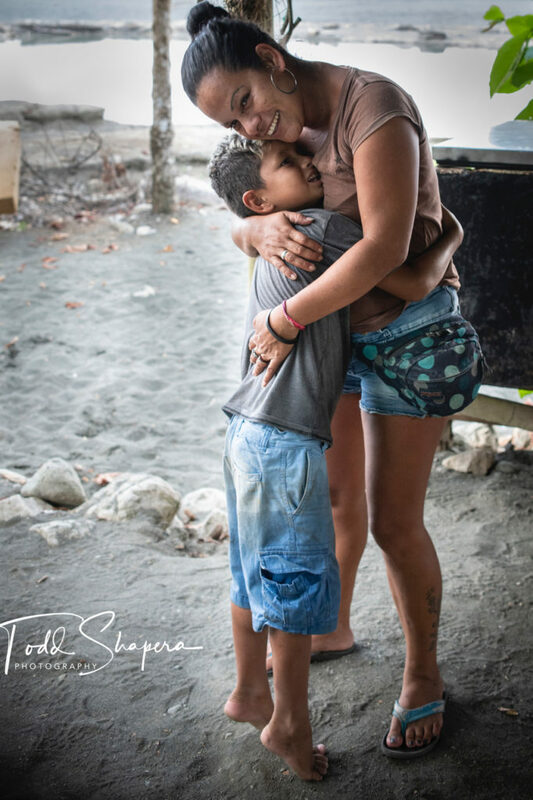 We were excited to connect with him to chat about his travels to the Osa Peninsula in Costa Rica, his workflow, and the upcoming workshops he’s doing in collaboration with Osa Conservation, a non-profit dedicated to protecting the area’s remarkably diverse ecosystem. Be sure to check out Todd’s work on his website, Facebook, Instagram, and learn more about his upcoming workshops here. You can also keep up with Osa Conservation through their website, Instagram, Facebook and Twitter. 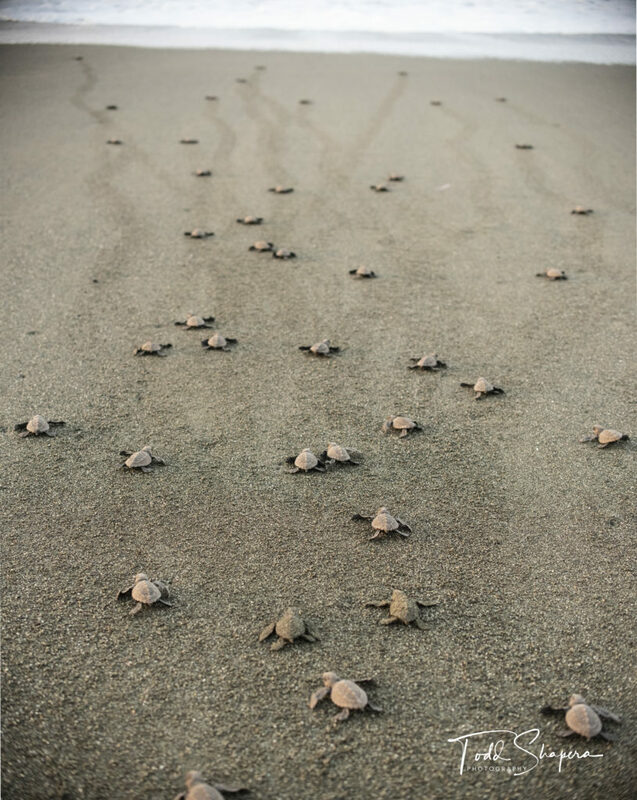 What makes the Osa Peninsula so special, and what is Osa Conservation’s mission there? 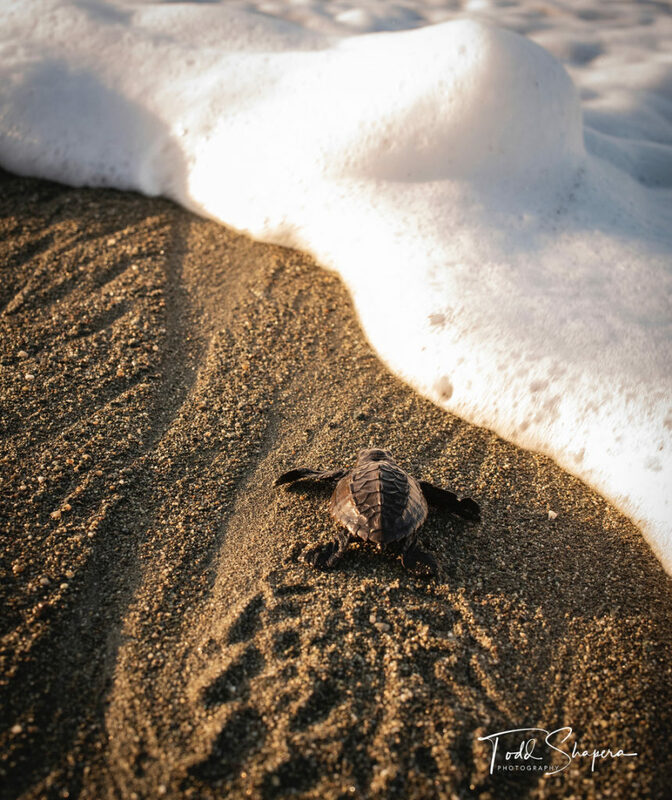 The Osa Peninsula, tucked into the Southwest corner of Costa Rica’s Pacific Coast, is regarded as “the most biologically intense place on earth” by National Geographic. It harbors 2.5% of the biodiversity of the entire planet in less than a thousandth of a percent of its total surface area. 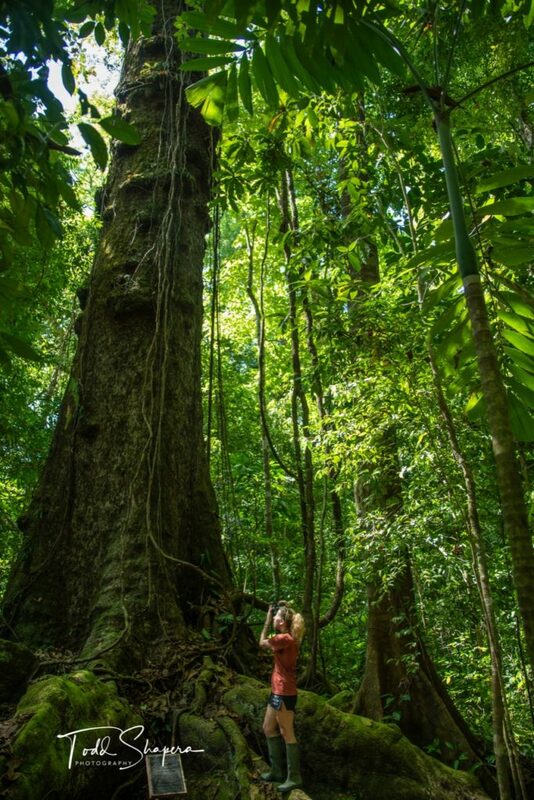 It has over 10,000 species of insects, more than 4,000 types of vascular plants, and has the largest remaining tract of lowland rainforest in Pacific Mesoamerica. 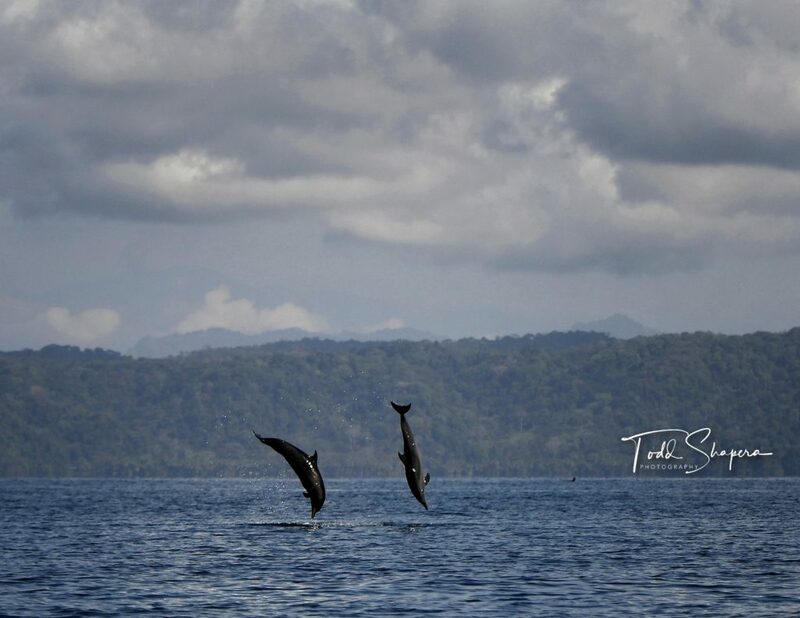 Osa Conservation, a nonprofit organization, is dedicated to protecting and conserving the globally significant terrestrial and marine biological diversity of the Osa Peninsula by implementing ecosystem stewardship, enhancing scientific understanding, providing education and training, and creating sustainable economic opportunities. The main base of Osa, The Piro BioStation, is situated in the heart of the jungle, just above the sea. It provides lodging, meals and research space for local staff and visiting scientists from abroad throughout the year. 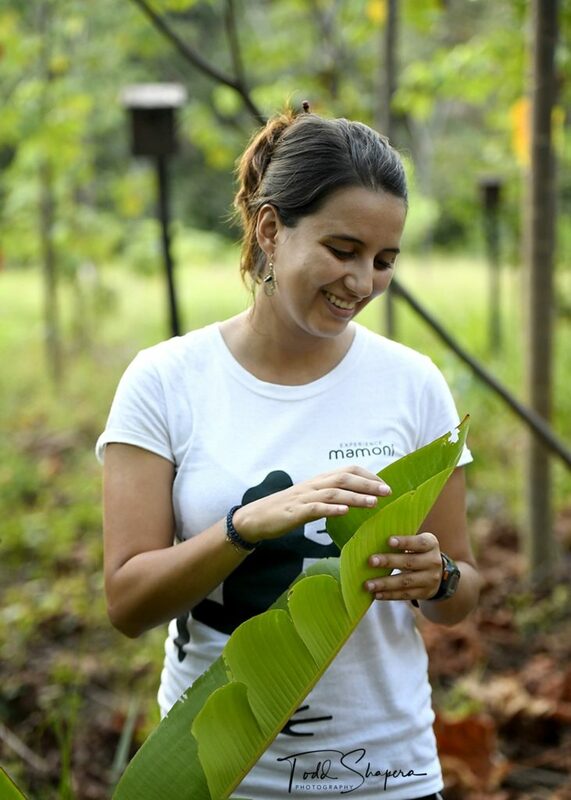 How did you first connect with Osa Conservation? How long have you been working with them? I first learned about Osa at a dinner at Glynwood – a non-profit that supports farmers in New York’s Hudson Valley. I came to know another attendee, William Nesbitt, an Osa Conservation board member, and his wife, Michelle. They were passionate and inspiring when describing their journeys to the Osa Peninsula and Osa’s incomparable biodiversity and beauty. During one of the dinners, I broached the idea of organizing photography workshops based on their science research station. Osa struck me as an appealing, off-the-radar location that might stand out in the saturated world of photo workshops. I also felt the workshops would be ideal for photographers who want to link their storytelling with the urgent global conversation on global warming and climate change. 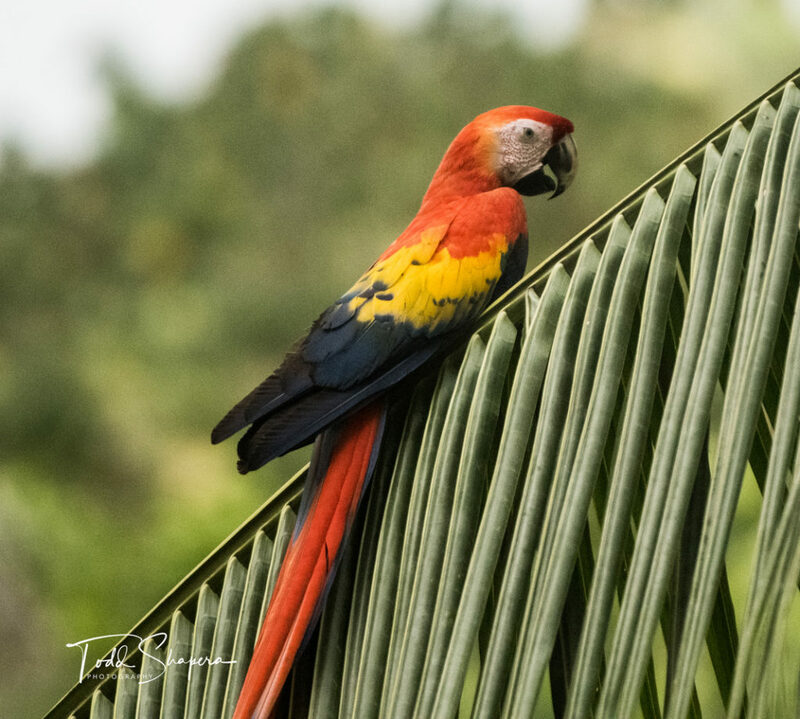 Will told me my timing was perfect – they were constructing a beautiful BioLodge, it would have a soft opening in 2019, and the organization wanted to be selective in booking it — attracting guests with sensitivity to the region and Osa Conservation’s mission. I also felt the workshops would be ideal for photographers who want to link their storytelling with the urgent global conversation on global warming and climate change. How is Osa using Photo Mechanic to handle its assets? Remarkably, deep in the rainforest, in a place so remote, you need a four- wheel drive vehicle to safely cross four streams with waist-deep water on the 20 mile gravel road, the Osa social media coordinator, Lucia Vargas, began learning the basics of Photo Mechanic while helping me cull, edit and caption photos on my laptop. Our editing table was in the dining pavilion, under the open-air, thatch-roof with solar power – a marvelous workspace with monkeys playing on nearby branches, butterflies alighting on border bushes, and where you walk the grounds and trails with rubber boots as protection from chance encounters with venomous Fed-de-lance snakes. I valued Lucia’s passion, fresh eye, and commitment to annotating the photos in an informed way. She’d often consult scientists on the team to verify information for our social media posts. Remarkably, too, in the jungle, as she became comfortable watching me tag and color code photos, Lucia downloaded a trial copy of Photo Mechanic on her laptop. Upon my return to New York, I contacted Camera Bits to discuss getting a Photo Mechanic license for Osa Conservation to help organize its photos and tell its story. 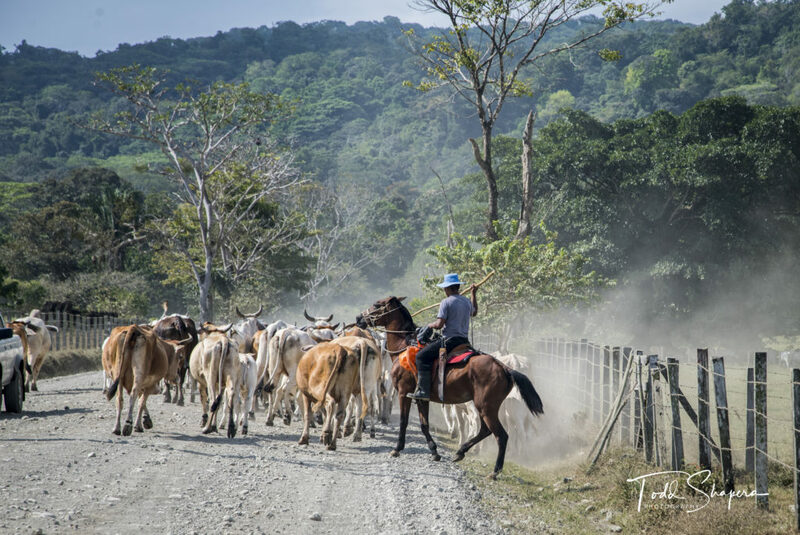 Can you tell us about the photography you’ve begun to do with Osa and the connection to its conservation efforts? My initial visit in January focused on planning and scouting for the workshops — experiencing and documenting our itinerary first hand: daily photo excursions in the rainforest, along the coast, and on the sea. Importantly, we link each activity with knowledgable Osa staff so that the participants will have informed perspective on what they are capturing. Beyond workshop preparation, I began a deeper, longer-term documentary photography project focusing on the region. The first workshop is scheduled for January 22-29, 2020 – and we hope to have a second a few months later. 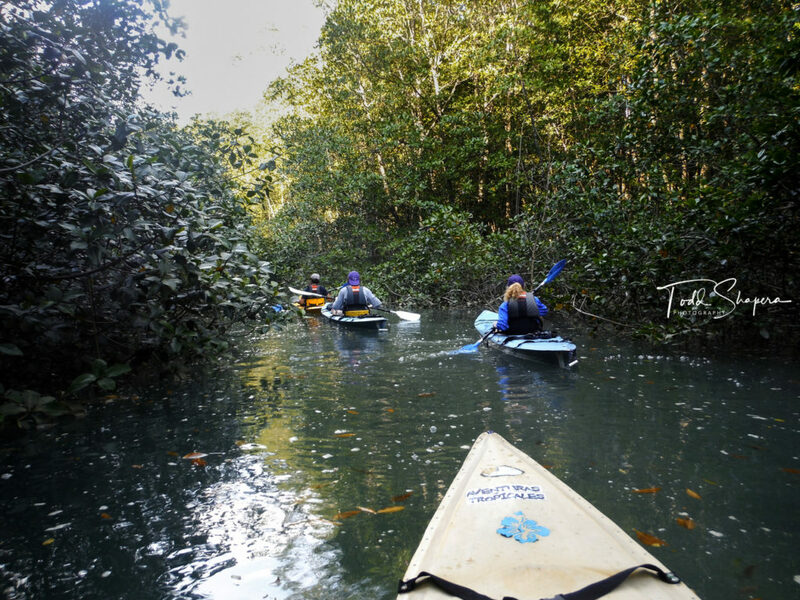 Do you have a favorite photo and/or story about your time working in the Osa Peninsula? Each day brought new awe and wonder, and new favorites. In fact, several times while editing, with time to reflect more deeply on the fragility and breathtaking beauty of what I photographed – I was brought to tears. 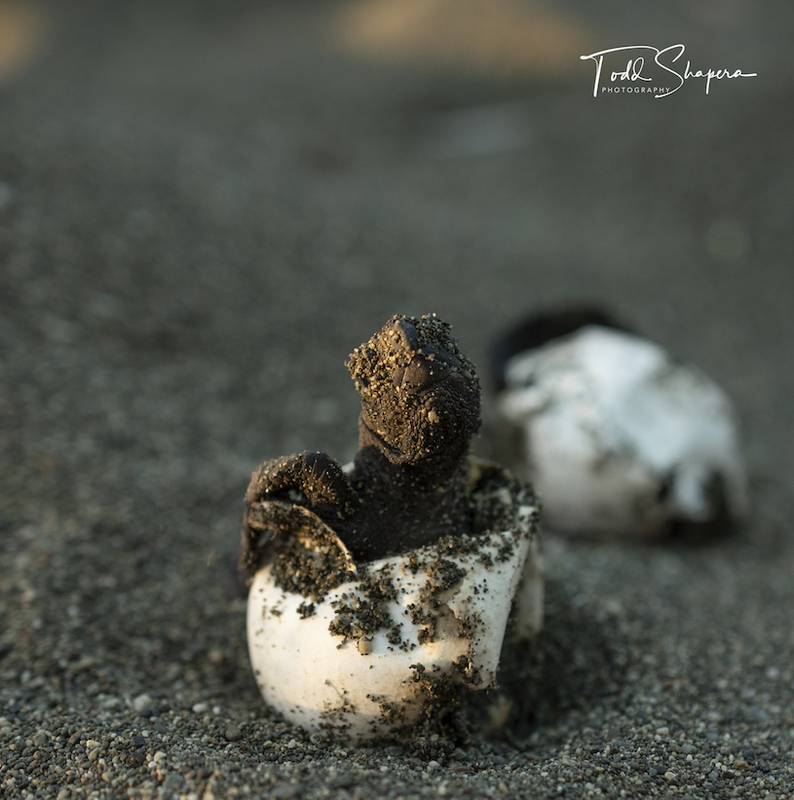 On two mornings, we observed palm-sized hatchling turtles emerge from their shell, scamper across the sand, and become swallowed up by the sea. It’s unforgettable – and life-changing. Another morning, we watched dolphins in the Golf Dulce leap incomprehensibly high, execute perfect flips at the apex of their jump, and make nose-first virtually splash free landings back into the water. It happened too fast to fully appreciate in real time – other than feel complete amazement. But when seeing a frame-by-frame breakdown of the jumps in Photo Mechanic (shot on my Nikon 850 at 7 frames per second) it was jaw-dropping to observe more closely the incredible athletic feat we’d witnessed. Do you have any tips for ways to work more efficiently and/or streamline your photography workflow while traveling? 1. Equipment. Take sufficient equipment to allow you to capture the story, but no more than you can carry comfortably when hiking in difficult wilderness conditions. I opted for two Nikon camera bodies, with a telephoto and wide angle lens, and a monopod. The extra body easily fit in my backpack. I also brought my cell phone and occasionally asked interested Osa staff to capture videos. The tough Nikon bodies hold up great in the humid, rain forest. As part of my maintenance, after the trip, I sent both cameras to Nikon headquarters for expert cleaning. I got them back within a week. 2. Processing Editing. There’s a trade-off between wanting to experience and photograph everything in this magical place, but also allow enough time to view your images dispassionately. I try to do a quick edit shortly after a shoot to discard obvious throwaways, tag photos I’ll want to see again, back up my tagged folder, and in the process, learn how I’m handling the challenges of the shoot — especially, in the Osa, the harsh Caribbean lighting. 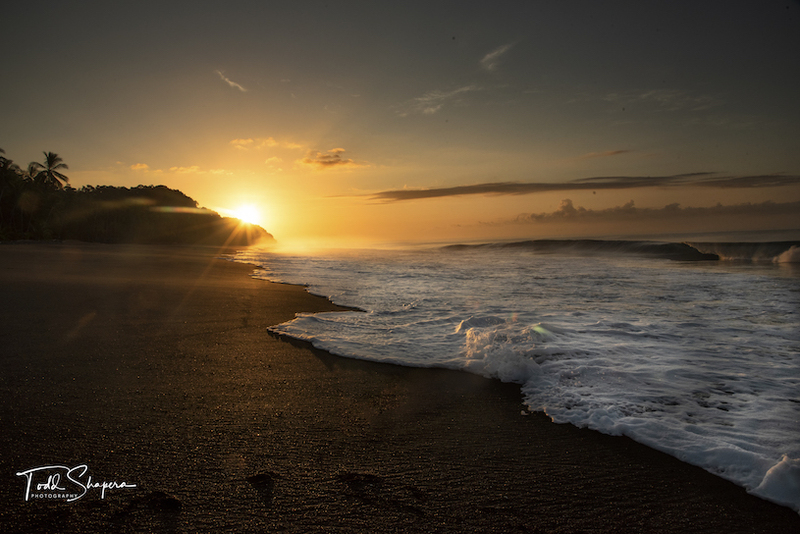 An example, the first day on the turtle beach I shot with the sun at my back, or with side lighting, when facing the sea. After culling those images, by the second day, I wanted to shoot into the low, morning sun – capturing more dramatic light and shadows. The editing process helped motivate that change. 3. Don’t over schedule. Give yourself ample processing time and R&R. With so much to see and experience, in such a remote place and with so little time, it’s tempting to try to pack it all in. That’s not possible, and the risk is over-saturation. After a few days, it can all become a blur, even feel like a chore. Ideally, you want to experience the Osa’s treasures with joy, fresh eyes, and enough time to allow for spontaneous, eye-catching diversions. Even if it may feel counter-intuitive, doing less can you help get more out of the experience and your art. Give yourself bonding time with the Osa team, hammock time and, happy hour time. 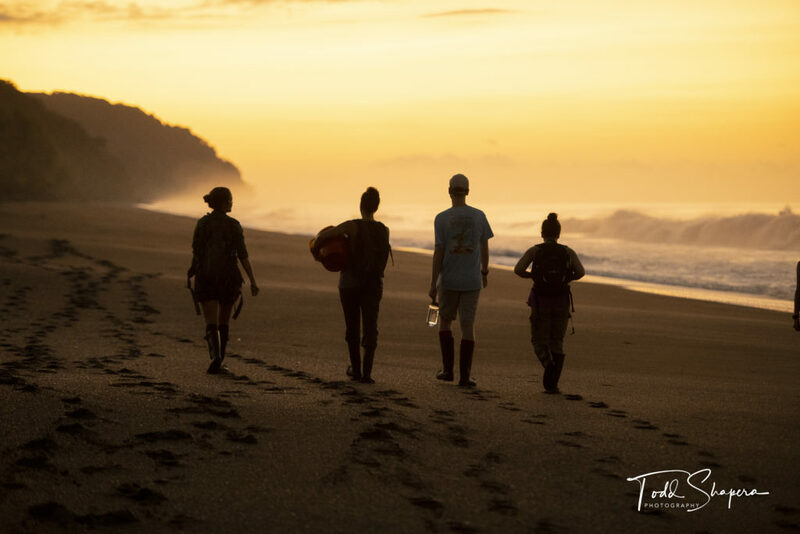 Following these personal guidelines, after two mornings of 4 a.m. wake-ups to make sunrise on the turtle beach, I demurred on an option for a different pre-dawn excursion the next day. I wanted to recover sleep and have editing time to catch up on my backlog. Instead, we headed out in mid-afternoon and found ourselves taking unplanned portraits of gold miners in soft late day light. 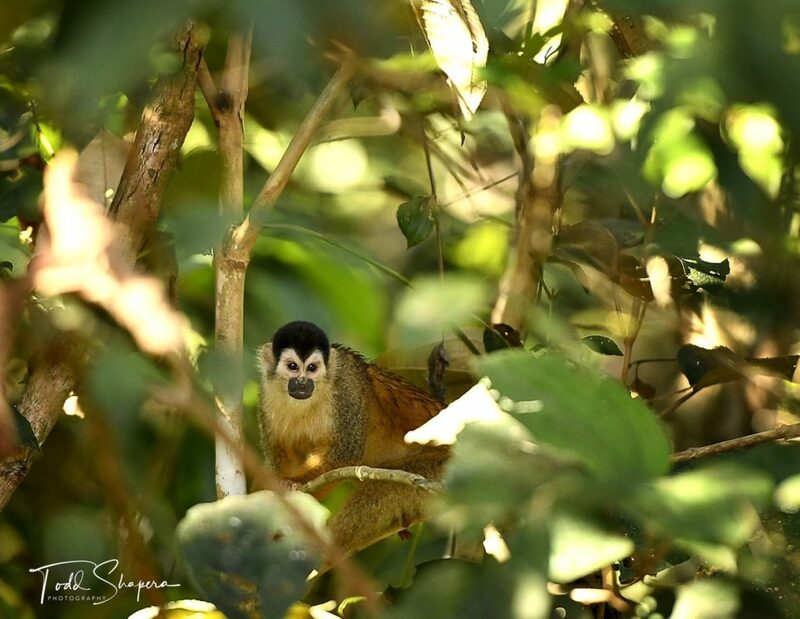 Moreover, with time to drive the jungle road at leisure, we made numerous unplanned stops for magical sitings of Macaws feeding in trees, squirrel monkeys scampering on branches silhouetted by the sunset, and scores of black vultures feeding on a carcass. How can readers learn more about your upcoming workshops? They can go to my website to see more of my work and learn about the workshops, and they can follow me on Instagram, Osa Conservation also has an informative website and Instagram feed.